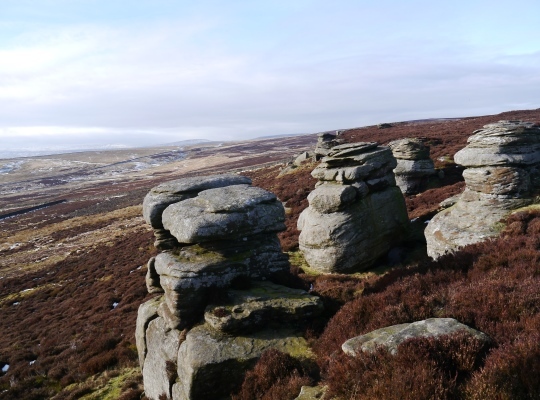 The magnificent Sypeland Crags are located high above Nidderdale on a wedge of Fountains Earth Moor between Sypeland Beck and Lul Beck. 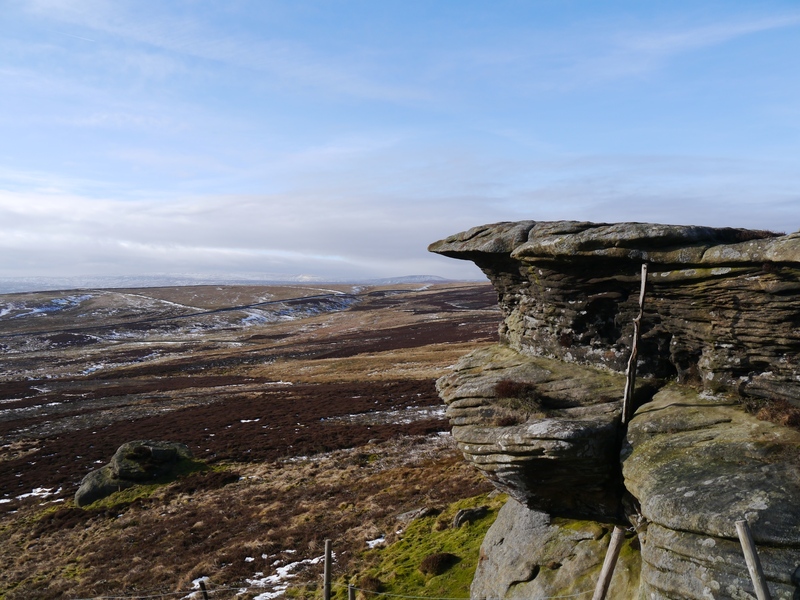 Sypeland Crags is probably the most varied and interesting gritstone crag in Nidderdale north of Brimham Rocks. The mixture of gritstone pinnacles, buttresses and the huge monolith of Tib’s Tent make Sypeland Crags an absolute delight to explore. 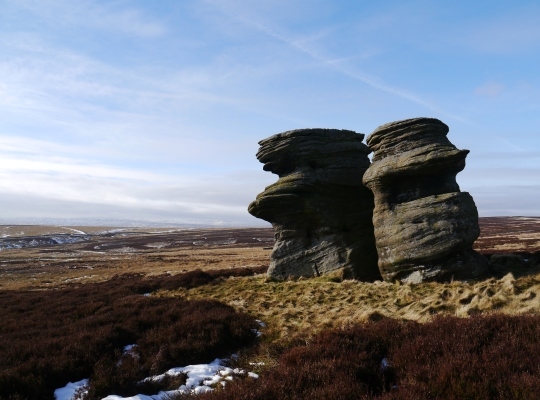 Perhaps the most famous rocks on Sypeland Crags are the two small pinnacles known as Jenny Twigg and her Daughter Tib. Situated about 600ft north of the main crag the two stones are an obvious landmark. The aerial jump between the two is a tempting one for those skillful enough to climb to the top of Jenny. 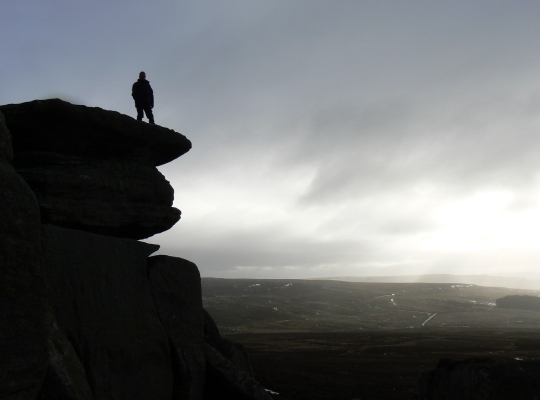 While the main crag is a must for connoisseurs of remote gritstone climbing the crags can just as easily be explored by us simple walkers (or at least those of us who don’t mind a bit of heather bashing to reach them). 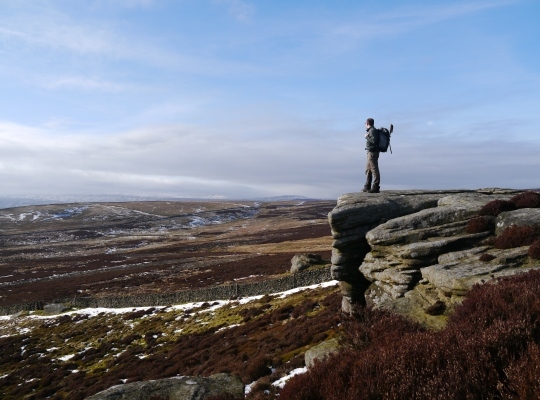 The views across Nidderdale from atop the crags is simply superb and makes you feel on top of the world. Further along from the main edge there is an interesting area of gritstone towers while further to the south is Tib’s Tent. 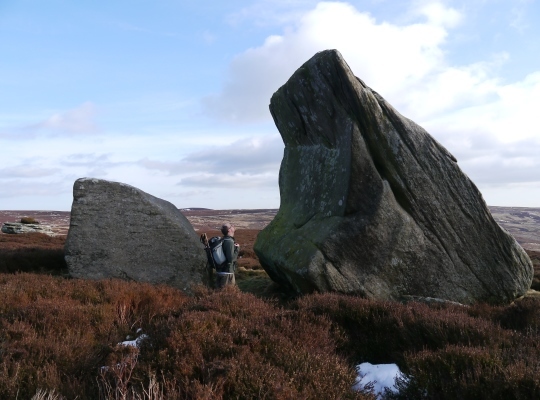 A rock so huge it is quite remarkable that the Ordnance Survey did not actually name it on the map. Even for people who have no intention of even thinking about climbing it, Tib’s Tent is a must to visit. The easiest way to access Sypeland Crags is to park near the summit of the Lofthouse to Masham Road and take the solid track across Shooting Box Allotment before turning off on a fainter path at the shooting house. A slightly longer alternative, but one that provides more varied views, is to climb up from Bouthwaite on the track heading for Lulbeck Head.